Most of you are reading this because you love mountaineering. 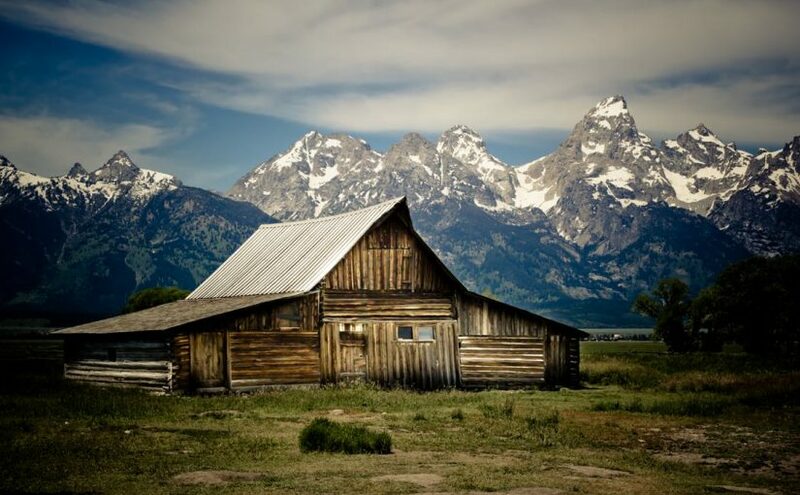 Sure, the Teton Range has some of the best climbing and hiking in the country—but that’s not all this beautiful landscape has to offer. The Range has hidden waterfalls, stunning lakes, and one-of-a-kind places to spot wildlife. Below, we have detailed our five favorite off-the-beaten-path destinations for when you want a break from scrambling up the rock face. Antelope Flats Road—This is one of the best places to spot wildlife. Antelope Flats Road leads to Mormon Row, the famous location of the Moulton Barn. Most of the path is gravel and dirt, but drivers can find several parking areas to take pictures as they traverse the plains. The most commonly-spotted animal is buffalo, but if you see one, don’t get out of your car; take as many pictures as you’d like, but do your best to keep the animal calm. Though the buffalo in this area may be more accustomed to people, they may still charge if they feel threatened. Taggart Lake—If you’re new to the Range, this is an excellent first hike. The easy trail will take you through some of the best lakes and views the Teton Range has to offer. Additionally, hikers often spot moose and bears along the trail. Though this is a relatively busy hiking area, the lake itself is huge; you’ll be able to spread out and enjoy the solitude once you reach water. At just three miles round-trip, this is a family-friendly loop—and perfect for cross-country skiing in the winter. String Lake—This lake offers some of the most stunning views of the Teton Range. The water is shallow and warm while the bottom is sandy and safe. If you’re looking for a break from the high-adrenaline thrills of mountaineering, rent a kayak or paddleboard and spend the day up here. The best lounging spots are on the trail up toward Leigh Lake—generally around a half of a mile away from the parking area. Schwabacher’s Landing—Another favorite among wildlife viewers, Schwabacher’s Landing offers incomparable views, a gorgeous body of water, and opportunities to see beaver, moose, and bear. A tiny trail, just past the US-191 turnoff for Moose/Jenny Lake, will bring you down to the water. From there, follow the river to a large beaver pond. Don’t forget your camera! Jenny Lake Scenic Drive—Sometimes, you want to take a break from the climbing, jump in the car, and drive around with the windows down. For those days, there’s the Jenny Lake Scenic Drive–a one-way road snaking around Jenny Lake. This is the best place to snap photos of Jenny Lake with mountains in the background. The scenic road is accessible from the Moose Entrance Station; about ten miles north, you’ll see a road to North Jenny Lake.